Graceful and resonant new work by a lyric poet at the height of his skill. says he stops, then, or must turn. --from "The Figure, the Boundary, the Light"
In the art of falconry, during training the tether between the gloved fist and the raptor's anklets is gradually lengthened and eventually unnecessary. In these new lyric poems, Carl Phillips considers the substance of connection -- between lover and beloved, mind and body, talon and perch -- and ts the cable of mutual trust between soaring figure and shadowed ground. Contemporary literature can perhaps claim no poetry more clearly allegorical than that of Carl Phillips, whose four collections have turned frequently to nature, myth, and history for illustration; still, readers know the primary attributes of his work to be its physicality, grace, and disarming honesty about desire and faith. 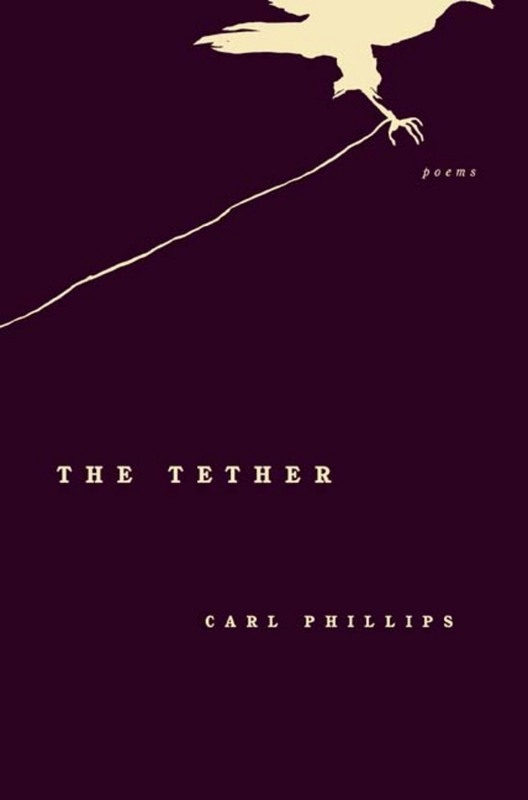 In The Tether, his fifth book, Phillips's characteristically cascading poetic line is leaner and more dramatic than ever." Carl Phillips is the author of four books of poems, including Pastoral and From the Devotions, a finalist for the National Book Award. He is an associate professor of English and of African and Afro-American Studies at Washington University in St. Louis.